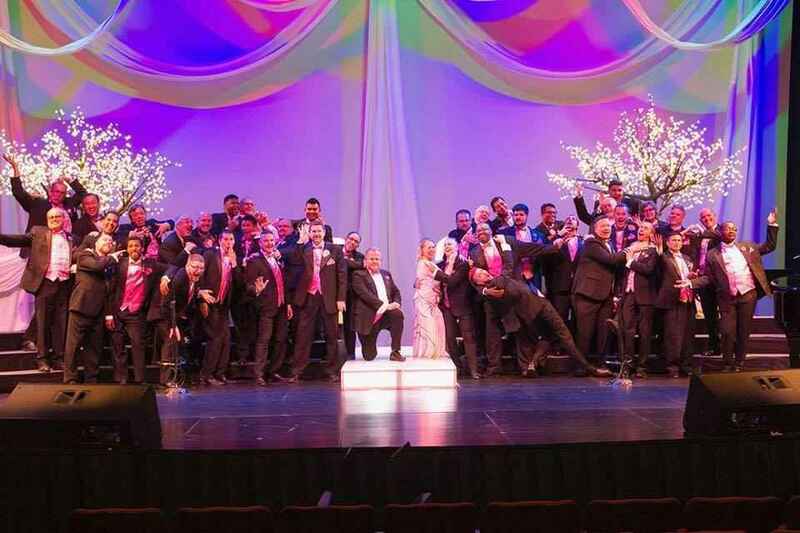 Support YOUR Sacramento Gay Men's Chorus today! The Sacramento Gay Men's Chorus is holding our 34th Season Sing-A-Thon on Saturday, November 10, 2018. SGMC's Sing-A-Thon is one of our major fundraising activities each year and is vital to our financial health. This year's Sing-A-Thon GOAL IS TO RAISE $6,500 or more for our organization. Proceeds from Sing-A-Thon provide funding for general operating expenses, important community outreach opportunities, and allows our members to fully participate in the GALA Choruses Festival which is held every four years. I hope you will consider supporting SGMC. You will be provided with a Sing-A-Thon Donation Receipt once we receive your generous tax-deductible donation! VERY IMPORTANT: As our full membership is asked to encourage their family and friends to help support SGMC, when utilizing this web page, please select 'HONOR' and include the member's who inspired you to donate. To Eugene, Continue to inspire others with your voice and your laughter. This person means a lot to me. I am happy to support. Donating to honor my lifelong friend Scott who participates because he knows it makes a difference and he loves it! So glad you found you found a group to sing with Chris Huber!